Transcript of a discussion on how ecosystems built from business networks like the SAP Ariba Network incubate innovative third-party collaboration solutions that benefit both buyers and sellers. Listen to the podcast. Find it on iTunes. Download the transcript. Sponsor: SAP Ariba. Dana Gardner: Hi, this is Dana Gardner, Principal Analyst at Interarbor Solutions, and you’re listening to BriefingsDirect. Our next intelligent enterprise discussion explores new opportunities for innovation and value creation inside of business-to-business (B2B) ecosystems. We’ll explore how business and technology platforms have evolved and why third-party businesses and modern analytics solutions are joining forces to create new breeds of digital commerce benefits. 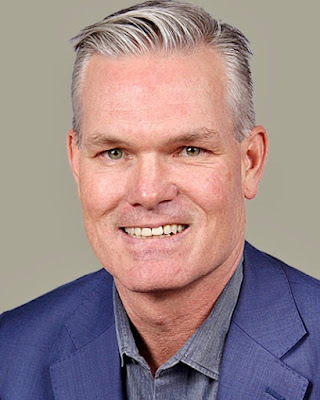 To explain more on how business ecosystems are becoming incubators for value-added services for both business buyers and sellers, we are joined by Sean Thompson, Senior Vice President and Global Head of Business Development and Ecosystem at SAP Ariba. Welcome to BriefingsDirect, Sean. Sean Thompson: Good morning, Dana. Thank you very much for having me. Gardner: Why is now the right time to highlight collaboration inside of business ecosystems? Thompson: It’s a fascinating time to be alive when you look at the largest companies on this planet, the five most valuable companies: Apple, Amazon, Google, Microsoft, and Facebook -- they all share something in common, and that is that they have built and hosted very rich ecosystems. These platforms represent wonderful economics for the companies themselves. But the members of the ecosystems also enjoy a very profitable place to do business. This includes the end-users profiting from the network effect that Facebook provides in terms of keeping in touch with friends, etc., as well as the advertisers who get value from the specific targeting of Facebook users based on end-user interests and values. So, it’s an interesting time to look at where these companies have taken us in the overall economy. It’s also an indication for other parts of the technology world that ecosystems in the cloud era are becoming more important. In the cloud era, you have multitenancy where you have the hosts of these applications, like SAP Ariba, using multitenant platforms. No longer are these applications delivered on-premise. Now, it’s a cloud application enjoyed by more than 3.5 million organizations around the world. It’s hosted by SAP Ariba in the cloud. As a result, you have a wonderful ecosystem that evolved around a particular audience to which you can provide new value. For us, at SAP Ariba, the opportunity is to have an open mindset, much like the companies that I mentioned. It is a very interesting time because business ecosystems now matter more than ever in the technology world, and it’s mainly due to cloud computing. Gardner: These platforms create escalating value. Everybody involved is a winner, and the more they play, the more winnings there are for all. The participation grows the pie, builds a virtuous adoption cycle. Is that how you view business ecosystems, as an ongoing value-added creation mechanism? How do you define a business ecosystem, and how is that different from five years ago? I wrote an article recently wherein I was reminded of growing up in Montana. I’m a big fly fisherman. 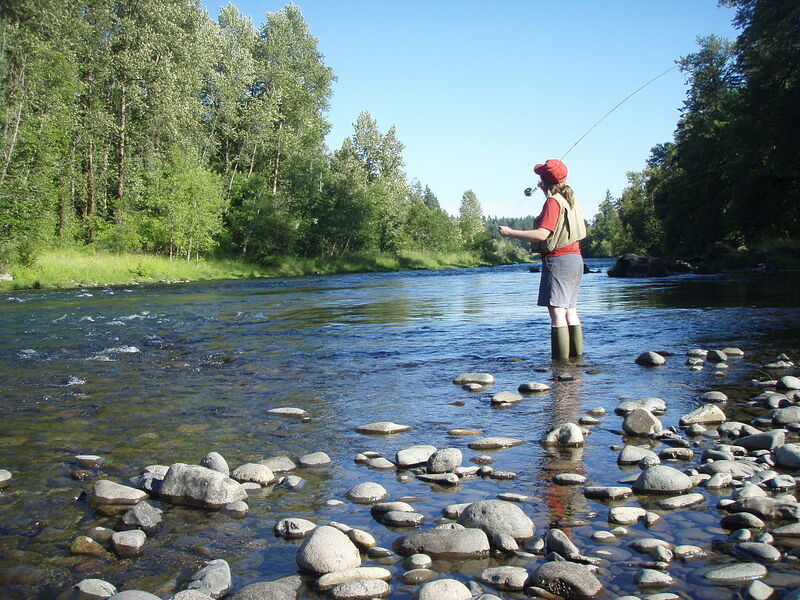 I grew up with a fly rod in my hand. It didn’t dawn on me until later in my professional life that I used to talk about ecosystems as a kid. We used to talk about the various bug hatches that would happen and how that would make the trout go crazy. I was taught by my dad about the certain ecosystems that supported different bugs and the different life that the trout feed on. In order to have an ecosystem -- whether it was fly-fishing as a kid in the natural environment or business ecosystems built today in the cloud -- it starts with relevance. Do you have relevance, much like Microsoft had relevance back in the personal computer (PC) era? Apple created the PC era, but Microsoft decided to license the PC operating system (OS) to many and thus became relevant to all the third-party app developers. The Mac was closed. The strategy that Apple had in the beginning was to control this closed environment. That led to a wonderful user experience. But it didn’t lead to a place where third-party developers could build applications and get them sold. Windows and a Windows-compatible PC environment created a profitable place that had relevance. More PC manufacturers used Windows as a standard, third-party app developers could build and sell the applications through a much broader distribution network, and that then was Microsoft’s relevance in the early days of the PC. Other ecosystems have to have relevance, too. There have to be the right conditions for third parties to be attracted, and ultimately -- in the business world -- it’s all about, if you will, profit. Can I enjoy a profitable existence by joining the ecosystem? You have to have the right conditions for third parties to be attracted. In the business world, it's all about profit. Can I enjoy a profitable existence by joining the ecosystem? At SAP Ariba, I always say, we are privileged because we do have relevance. Salesforce.com also had relevance in its early days when it distributed its customer resource management (CRM) app widely and efficiently. They pioneered the notion of only needing a username, a password, and credit card to distribute and consume a CRM app. Once that Sales Force Automation app was widely distributed, all of a sudden you had an ecosystem that began to pay attention because of the relevancy that Salesforce had. It was able to turn the relevancy of the app into an ecosystem that was based on a platform, and they introduced Force.com and the AppExchange for the third parties to extend the value of the applications and the platform. It’s very similar to what we have here at SAP Ariba. The relevance in the ecosystem is supported by market relevance from the network. So it’s a fascinating time. Gardner: What exactly is the relevance with the SAP Ariba platform? You’re in an auspicious place -- between buyers and sellers at the massive scale that the cloud allows. And increasingly the currency now is data, analytics, and insights. Thompson: It’s very simple. I first got to know Ariba professionally back in the 1990s. I was at Deloitte, where I was one of those classic re-engineering consultants in the mid-90s. Then during the Y2K era, companies were getting rid of the old mainframes because they thought the code would fail when the calendar turned over to the year 2000. That was a wonderful perfect storm in the industry and led to the first major wave of consuming enterprise resource planning (ERP) technology and software. Ariba was born out of that same era, with an eye toward procurement and helping the procurement organization within companies better manage spend. ERP was about making spend more efficient, too, and making the organization more efficient overall. It was not just about reducing waste inherent within the silos of an organization. It was also about the waste in how companies spent money, managed suppliers, and managed spend against contracts that they had with those suppliers. And so, Ariba -- not unlike Salesforce and other business applications that became relevant -- was the first to focus on the buyer, in particular the buyer within the procurement organization. The focus was on using a software application to help companies make better decisions around who they are sourcing from, their supply chain, and driving end-users to buy based on contracts that can be negotiated. It became an end-to-end way of thinking about your source-to-settle process. That was very much an application-led approach that SAP Ariba has had for the better part of 20 years. When SAP bought Ariba in 2012, it included Ariba naturally within the portfolio of the largest ERP provider, SAP. But instead of thinking of it as a separate application, now Ariba is within SAP, enabling what we call the intelligent enterprise. The focus remains on making the enterprise more intelligent. SAP Ariba was also one of the first to pioneer moving from an on-premises world into the cloud. And by doing so, Ariba created a business network. It was very early in pioneering the concept of a network where -- by delighting the buyer and the procurement organization – that organization also brought in their suppliers with them. And so, very early on, SAP Ariba created a business network. That network today is made up 3.5 million buyers and sellers doing $2.2 trillion annually in commerce through the Ariba Network. Now, as you pointed out, the currency is all about data. Because we are in the cloud, a network, and multitenant, our data model is structured in such a way that is far better than in an on-premises world. We now live within a cloud environment with a consistent data structure. Everybody is operating within the same environment, with the same code base. So now the data we have within SAP Ariba -- within that digital commerce data set -- becomes incredibly valuable to third parties. They can think about how they can enhance that value. Because we are in a cloud, a network, and multitenant, our data model is structured in a way that's far better than in an on-premises world. We now live in a cloud environment with a consistent data structure. As an example, we are working with banks today that are very interested in using data to inform new underwriting models. A supplier will soon be able to log-in to the SAP Ariba Network and see that there are banks offering them loans based on data available in the network. It informs about new loans at better rates because of the data value that the SAP Ariba Network provides. The notion of an ecosystem is now extending to very interesting places like banking, with financial service providers being part of a business network and ecosystem. We are going beyond the traditional old applications -- what we used to call independent software vendors (ISVs). We’re now bringing in service providers and data services providers. It’s very interesting to see the variety of different business models joining today’s ecosystems. Gardner: Another catalyst to the power and value of the network and the platform is that many of these third parties are digital organizations. They’re sharing their value and adding value as pure services so that the integration pain points have been slashed. It’s much easier for a collaborative solution to come together. Can you provide any other examples, Sean, of how third parties enter into a platform-network ecosystem and add value through digital transformation and innovation? Thompson: Yes. When you look back at my career, 25 years ago, I met SAP for the first time when I was with Deloitte. And Deloitte is still a very strong partner of SAP, a very strong player within the technology industry as a systems integrator (SI) and consulting organization. We have enjoyed relationships with Deloitte, Accenture, IBM, Capgemini, and many other organizations. Today they play a role -- as they did in the past -- of delivering value to the end customer by providing expertise, human capital, and intellectual property that is inherent in their many methodologies -- change management methodologies, business process change methodologies. And there’s still a valuable role for these professional services organizations, consultants, and SIs today. But their role has evolved, and it’s a fascinating evolution. It’s no longer customizing on-premises software. Back in the day, when I was at Deloitte, we made a lot of money by helping companies adopt an application like an SAP or an Oracle ERP and customizing it. But you ended up customizing for one and building a single-family home, if you will, that was isolated. You ended up forking the code, if you will, so that you had a very difficult time upgrading because you customized the code so much that you then fell behind. Now, on cloud, the SI is no longer customizing on-premises, it’s now configuring cloud environments. That configuring of cloud environments allows for not only the customer to never be left behind -- a wonderful value for the industry in general -- but it also allows the SI to play a new role. That role is now a hybrid of both consulting and of helping companies to understand how to adopt and change their multicloud processes to become more efficient. The SIs are also becoming [cloud service providers] themselves because – what they used to do in customizing on-premises -- they’re now building extensions to clouds and among clouds. They can create extensions of a solution like SAP Ariba for certain industries, like oil and gas, for example. You will see SAP continue to evolve its relationships with these service providers so that those services companies begin to look more like hybrid business models -- where they enjoy some intellectual property and extensions to cloud environments, as well as monetizing their methodologies as they have in the past. This is a fascinating evolution that’s profitable for those companies because they go from a transactional business model -- where they have to sell one client at a time and one implementation at a time -- to monetizing based on a subscription model, much like we in the ISV world have done. There are many other examples of new and interesting ways within the SAP Ariba ecosystem and network of buyers and suppliers where third-party ecosystem participants gather additional data about suppliers -- and sometimes about buyers. For example, in helping both suppliers and buyers manage their risk better in terms of financial risk, for supply chain disruption, and if you want to ensure there isn’t slave labor in your supply chain, or if there is sufficient diversity in your supply chain. The supplier risk category for us is very important. It requires an ecosystem of provider data that enriches the supplier profile. And that can then become an enhancement to the overall value of the business network. We are now able to reach out and offer ways in which third parties can contribute their intellectual property -- be it a methodology, data, analytics, or financial services. And that’s why it’s a really exciting time to be in the environment we are today. Gardner: This network effect certainly relates to solution sets like financial services and risk management. You mentioned also that it pertains to such vertical industries like oil and gas, pharmaceutical, life sciences, and finance. Does it also extend to geographies and a localization-solution benefit? Does it also pertain to going downstream for small- to medium-sized businesses (SMBs) that might not have been able to afford or accommodate this high-level collaboration? Thompson: Absolutely, and it’s a great question. I remember the first wave of ERP and it marked a major consumption of technology to improve business. And that led to a tremendous amount of productivity gains that we’ve enjoyed through the growth of the world economy. Business productivity through technology investment has led to a tremendous amount of growth in the economy. Now, you ask, “Does this extend?” And that’s what’s so fascinating about cloud and when you combine cloud with the concept of ecosystem -- because everybody enjoys a benefit from that. As an example, you mentioned localization. Within SAP Ariba, we are all about intelligent business commerce, and how can we make business commerce more efficient all around the world. That’s what we are about. In some countries, business commerce involves the good old-fashioned invoicing, orders, and taxation tasks. At Ariba, we don’t want to solve all of that so-called last mile of the tax data and process needed in for invoices in, say, Mexico. And that's what's so fascinating about cloud and when you combine cloud with the concept of ecosystem -- because everybody enjoys a benefit. We want to work with members of the ecosystem that do that. An example is Thomson Reuters, whose business is in part about managing a database of local tax data that is relevant to what’s needed in these different geographies. By having one relationship with a large provider of that data and being able to distribute that data to the end users -- which are companies in places like Mexico and Korea that need a solution – means they are going to be compliant with the local authorities and regulations thanks to up-to-date tax data. That’s an example of an extremely efficient way for us to distribute to the globe based on cloud and an ecosystem from within which Thomson Reuters provides that localized and accurate tax data. You also asked about SMBs. Prior to being at SAP Ariba, I was part of an SMB support organization with the portfolio of Business ByDesign and Business One, which are smaller ERP applications designed for SMBs. And one of them, Business ByDesign, is a cloud-based offering. In the past, the things that large companies were able to do were often too expensive for SMBs. That’s because they required on-premises data centers, with servers, software consultants, and all of the things that large enterprises could afford to drive innovation in the pre-cloud world. This was all just too expensive for SMBs. Now the distribution model is represented by cloud and the multitenant nature of these solutions that allow for configuration -- as opposed to costly and brittle customization. They now have an easy upgrade path and all the wonderful benefits of the cloud model. And when you combine that with a business solutions ecosystem then you can fully support SMBs. For example, within SAP Ariba, we have an SMB consulting organization focused on helping midsize companies adopt solutions in an agile way, so that it’s not a big bang. It’s not an expensive consulting service, instead it’s prescriptive in terms of how you should begin small and grow in terms of adopting cloud solutions. Such an SMB mindset has enabled us to take the same SAP Ariba advantage of no code, to just preconfigure it, and start small. As we like to say at SAP Ariba, it’s a T-shirt size implementation: small, medium, and large. That’s an example of how the SMB business segment really benefits from this era of cloud and ecosystem that drives efficiency for all of us. Gardner: Given that the value of any business network and ecosystem increases with the number of participants – including buyers, sellers, and third-party service providers -- what should they be thinking to get in the best position to take advantage of these new trends, Sean? What should you be thinking in order to begin leveraging and exploiting this overall ecosystem approach and its benefits? Thompson: I’m about to get on an airplane to go to South Korea. In some of these geographies where we do business, the majority of businesses are SMBs. And I am still shocked that some of these companies have not prioritized technology adoption. I’m still surprised that there are a lot of industries, and a lot of companies in different segments, that are still very much analog. They are doing business the way they’ve been doing business for many years, and they have been resistant to change because their cottage industry has allowed them to maintain, if you will, Excel spreadsheet approaches to business and process. I spent a decade of my life at Microsoft, and when we looked at the different ways Excel was used we were fascinated by the fact that Excel in many ways was used as a business system. Oftentimes, that was very precarious because you can’t manage a business on Excel. But I still see that within companies today. The number one thing that every business owner needs to understand is that we are in an exponential time of transformation. What was linear in terms of how we expect transformation is now in an exponential phase. Disruption of industries is happening in real time and rapidly. If you’re not prioritizing and investing in technology -- and not thinking of your business as a technology business -- then you will get left behind. Never underestimate the impact that technology can have to drive topline growth. But technology also preserves the option value for your company in the future because disruption is happening. It’s exponential and cloud is driving that. You also have to appreciate the value of getting good advice. There are good companies that are looking to help. We have many of those within our ecosystem, such as providers of assistance like the large SIs as well as midsize companies focused on helping SMBs. 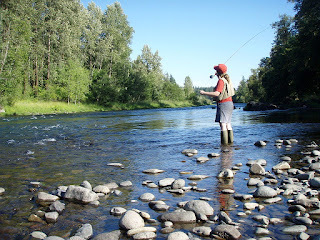 As I mentioned before, I grew up fly fishing. But anybody that comes to me and says, “Hey, I’d love to go learn how to fly fish.” I say, “Start with hiring a professional guide. Spend a day on a river with a professional guide because they will show you how to do things.” I honestly think that that same advice applies to the professional guide who can help you understand how to consume cloud software services. And that professional guide fee is not going to be as much as it was in the past. So I would say get professional help to start. Gardner: I’d like to close out with a look to the future. It seems that for third-party organizations that want to find a home in an ecosystem that there’s never been a better time for them to innovate, and find new business models, new ways of collaborating. You mentioned risk management and financial improvements and efficiency. What are some of the other areas for new business models within ecosystems? Where are we going to see some new and innovative business models cropping up, especially within the SAP Ariba network ecosystem? Thompson: You mentioned it earlier in the conversation. The future is about data. The future is about insights that we gather from the data. We're still early in a very interesting future. We're still understanding how to gather insights from data. At SAP Ariba we have a treasure trove of data from $2.1 trillion in commerce among 3.5 million members in the Ariba Network. I started a company in the natural language processing world. I spent five years of my life understanding how to drive a new type of user experience by using voice. It’s about natural language and understanding how to drive domain-specific knowledge of what people want through a natural user interface. I’ve played on the edge of where we are in terms of artificial intelligence (AI) within that natural language processing. But we’re still fiddling in many respects. We still fiddle in the business software arena, talking about chatbots, talking about natural user interfaces. We’re still early in a very interesting future. We’re still very early in understanding how to gather insights from data. At SAP Ariba we have a treasure trove of data from $2.1 trillion in commerce among 3.5 million members in the Ariba Network. There are so many data insights available on contracts and supplier profiles alone. So the future is about being able to harvest insights from that data. It’s now very exciting to be able to leverage the right infrastructure like the S/4 HANA data platform. But we have a lot of work to do still to clean data and ensure the structure, privacy, and security of the data. The future certainly is bright. It will be magical in how we will be able to be proactive in making recommendations based on understanding all the data. Buyers will be proactively alerted that something is going on in the supply chain. We will be able to predict and be a prescriptive in the way the business operates. So it is a fascinating future that we have ahead of us. It’s very exciting to be a part of it. Gardner: I’m afraid we’ll have to leave it there. You’ve been listening to a sponsored BriefingsDirect discussion on new opportunities for innovation and value creation among business ecosystem participants. And we’ve learned how business ecosystems are incubating new levels of buyer and seller value-added services. So a big thank you to our guest, Sean Thompson, Senior Vice President and Global Head of Business Development and Ecosystem at SAP Ariba. Thank you, sir. Gardner: And thank you as well to our audience for joining this BriefingsDirect digital business innovation discussion. 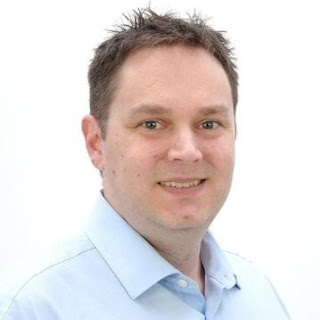 I’m Dana Gardner, Principal Analyst at Interarbor Solutions, your host throughout this series of SAP Ariba-sponsored BriefingsDirect discussions. Thanks again for listening, and do come back next time. Transcript of a discussion on how ecosystems built from business networks like the SAP Ariba Network incubate innovative third-party collaboration solutions that benefit both buyers and sellers. Copyright Interarbor Solutions, LLC, 2005-2018. All rights reserved. Transcript of a discussion on how a rapidly growing dental services company combined hyperconverged infrastructure with advanced security products to efficiently gain data availability, privacy, and security. Listen to the podcast. Find it on iTunes. Download the transcript. Sponsor: Bitdefender. Dana Gardner: Welcome to the next edition of the BriefingsDirect podcast series. I’m Dana Gardner, Principal Analyst at Interarbor Solutions, your host and moderator. Modern dentistry depends on more than good care. It also demands rapid access to data and applications. For a rapidly growing dental services company -- consisting of hundreds of dental offices spread across 10 American states -- the task of managing all of its data availability, privacy, and security needs started out as complex and costly. Here to share the story of how to best balance data compliance and availability requirements via modern IT infrastructure is Kevin Schokora, Director of IT Operations at Great Expressions Dental Centers in Southfield, Michigan. Kevin Schokora: Thank you, Dana. Gardner: Not only do you have many sites, but you allow your patients to pick and choose different sites -- if they need to cross a state border or move around for any reason, but that wide access requires you to support data mobility. So, we expanded our software’s capabilities so that when a patient has an appointment in another state, the doctor there will have access to that patient’s records. They can treat them knowing everything in the patient's history. We were able to go from five server racks in a co-location facility down to one -- all while providing a more consistent services delivery model. We have been able to grow and focus on the business side. This is now a continuous model. It is part of our growth acquisition strategy. It's just one more check-box where we don't have to worry about the IT side. We can focus on the business side, and how that directly relates to the patients. Schokora: We had to ensure from an infrastructure perspective that we afford all of our customers -- including the software applications development team -- a platform that they can have confidence in, and we had to earn their trust. To that end, the HCI approach allowed us the capability to use encryption at rest, which is a huge component for compliance for HIPAA, PCI, and things of that nature. The other benefit was to move our entire environment -- what I call a forklift of our entire data center. That allowed us to then review what I would call the sins of our past to ensure that any of that cobbled-together infrastructure is built with the security needed to meet all of the requirements of the customer. We can now plan on a top-down basis. The one thing that really stood out for us with Nutanix was their customer approach, their engagement, and how they ensured that they are a partner with us. They showcased this through the POC process, throughout testing the equipment and environment. They were there, hand-in-hand with us, responding to our questions -- almost ad nauseam. They ensured that customer experience for us, just to make sure that we were comfortable with it. So given all of this, as a complete package, we felt that this was an opportunity that could not be passed up on. When we wrote the business case -- and this was the easy part at that point, showcasing the benefits over five years -- this solution easily won out from a cost perspective and aligned with the business requirements of growth. That alignment supported our whole business, not just IT. That was also critical. Schokora: From a security perspective, we chose -- after a lengthy process of evaluation -- a Bitdefender solution. We wanted to attack our endpoints and make sure that they were protected, as well as our servers. In addition to having a standardized methodology of delivering patches to both endpoints and to servers, we wanted an organization that integrated with Nutanix. Bitdefender checked off all of those boxes for us. We had no large customer-impacting events. The one thing we will own up to is that during our IT deployment and maintenance window, the applications development team had some nightly processes that were impacted -- but they recovered. All cards on the table, we did impact them from a nightly standpoint. Luckily, we did not impact the offices or our patients when they wanted to receive care. So when the business comes back with projects -- such as improved document management, which is what’s currently being discussed, and such as a new learning management system from our training department -- we are able to forecast what they will demand from our systems and give them a better cost model. Gardner: Any words of advice now that you have been through a really significant transition -- a wholesale migration of your infrastructure, security, encryption, new ERP system, and moving to a better DR posture. What words of advice do you have for other folks who are thinking of biting off so much at once? Gardner: I’m afraid we will have to leave it there. You’ve been listening to a sponsored BriefingsDirect discussion on how Great Expression Dental Centers combined hyperconverged data centers with advanced security products to solve their security and data-availability needs. And we’ve learned how balancing compliance and availability requirements with new modern IT infrastructure can provide for greater automation, IT staff productivity, and allow for broad improvements in a very short amount of time. Please join me in thanking our guest, Kevin Schokora, Director of IT Operations at Great Expressions Dental Centers in Southfield, Michigan. Thank you so much, Kevin. Gardner: I’m Dana Gardner, Principal Analyst at Interarbor Solutions, your host and moderator for this ongoing series of BriefingsDirect discussions. 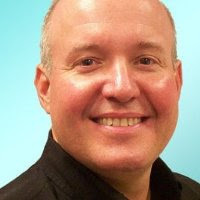 Do follow me please on Twitter @Dana_Gardner and find more security focused podcasts at briefingsdirect.com. A big thank you also to our sponsor, Bitdefender, for supporting these presentations. A big thank you as well to our audience for joining. Please pass this on to your IT community, and do come back next time. Transcript of a discussion on how a rapidly growing dental services company combined hyperconverged infrastructure with advanced security products to efficiently gain data availability, privacy, and security. Copyright Interarbor Solutions, LLC, 2005-2018. All rights reserved.